Running stock android 7.0 on Galaxy Tab S2. 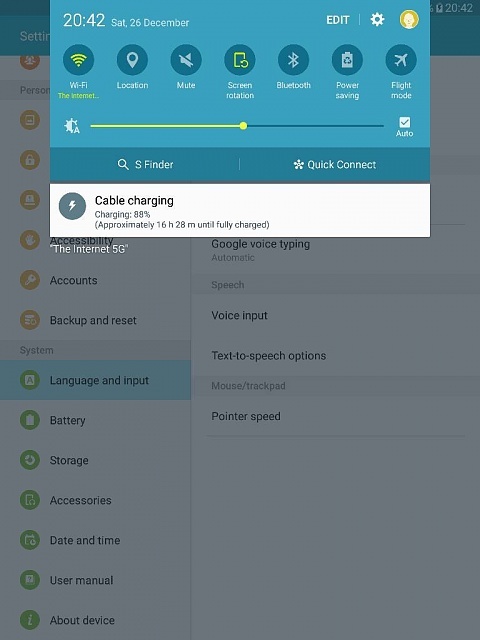 I've seen screenshots from others on this tablet where if you swipe down to see key settings, it'll show "time until fully charged." (see sample image below). Mine doesn't show this while charging. It never has. How do I enable this? I'm confused. You're running stock Android or you're running just what came from Samsung? What came from Samsung. Sorry.